You definitely made me want to try this one! Thanks bakery attacker. hope you attack again! Hi, your post is very interesting! I completely agree with you! I recently visited Feudi di San Gregorio winery and it is beautiful, I suggest you go there. I love Italy and its wines. 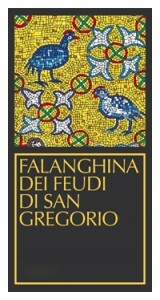 I tasted Fiano di Avellino, Greco di Tufo and Taurasi: are unique! Cheers! Excellent tips George – it sounds like they’re pretty spectacular Campagna wines worth checking out. Will keep an eye open for them in NY and will definitely post if I can locate them. Thanks!